The Fitbit Versa is one of the popular smartwatch models available in the market today which will empower you to reach health and fitness goals with 24/7 heart rate, actionable insights, personalized guidance, on-screen workouts and more. It’s a budget friendly device which costs less than $200 making it a great buy. The smartwatch is equipped with 4GB of RAM with 2.5 GB accessible for music storage. You can either add your own songs manually or you can use the watch’s pre-loaded Pandora and Deezer music apps. Sadly, similar to its predecessor – Fitbit Ionic, the Versa doesn't support Spotify. That’s to say, you can’t play Spotify songs on Fitbit Versa / Ionic directly, even with Premium subscription. This is probably the worst part of the Fitbit Versa. Although installation and music syncing of Deezer or Pandora wasn't too difficult, we likely wouldn’t pay for it for the Versa considering we’re already on Spotify. Then, is it possible to transfer and play Spotify music on Fitbit Versa? Fortunately, the answer is positive. Below we will introduce a wonderful program to help you convert Spotify songs to common MP3 format and transfer to Fitbit Versa. 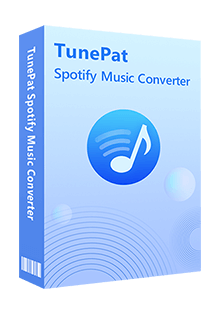 The program mentioned above is called TunePat Spotify Converter. It is the best tool with the ability to download any song, album, artist and playlist from Spotify as DRM-free MP3 at 10X speed while saving original quality and ID3 tags. It's highly recommended because it supports both Free and Premium accounts. With the help of such a tool, you can easily get Spotify songs in MP3 format and transfer to Fitbit Versa or Ionic for playback. TunePat Spotify Converter is available on both Windows and Mac computers, here we take the Windows version as the example to show you the detailed steps about how to convert Spotify songs to MP3 format and transfer to Fitbit Versa. 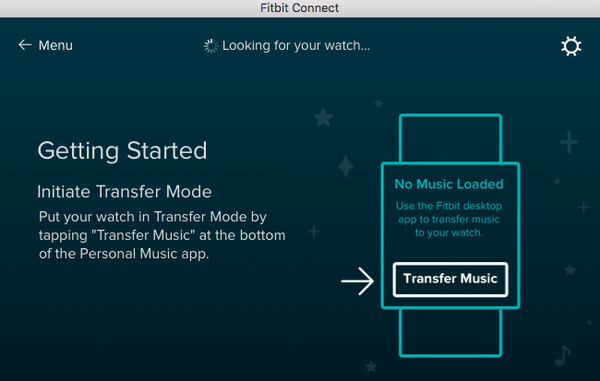 All your Spotify songs have been downloaded as local files, and now you just need to upload them to Fitbit Versa by following the steps below. Step 1 Download and install Fitbit Connect on your computer. Step 2 Click the Manage My Music tile, and go to the Music app on your Versa, open it, and tap Transfer Music. Step 3 After your Versa has established a connection to your computer, you can choose which playlist to transfer. To choose which folders Fitbit Connect pulls your music from, tap the Settings icon in the top right, choose Advanced Settings, click the + icon, and select the folder you want. After the transfer is completed, you can pair Bluetooth headphones or a speaker to Versa and open the Music app to listen to your Spotify music.